Official Stockist of Napoleon Perdis. Buy now, pay later with Afterpay. He’s created cult products beloved by millions, become a regular backstage at fashion weeks around the world, netted countless awards and passed on his signature techniques to scores of students. But fulfilment for Napoleon Perdis comes not from the accolades, but from his ability to make his cosmetics accessible to everyone. Since founding his eponymous brand more than 20 years ago, Napoleon has continued to innovate with products and a luxury experience which has never lost sight of his main focus - the customer.Whether providing a high-tech twist on ancient beauty secrets such as Donkey Milk in his Hydrating Milk Cleanser, Snail Mucus in his skin repairing BBB Cream ,or unlocking the beauty therapy of the lotus blossom in his Rebirth of Venus Cleansing Oil, Napoleon delivers innovation customers can see and feel.With his focus on education at the forefront of his brand, Napoleon includes tips and tricks on products gleaned from his extensive world travels that aim to empower women and embrace their inner beauty, no matter their age, race or ethnicity. “Female empowerment is the beating heart of Napoleon Perdis. We don’t have customers, we have partners; we collaborate on the quest to achieve their dreams. We see the individual – not the crowd – and we’re working with every single soul to embrace their goals and aspirations. For us there are no barriers, just the individual that gazes into the mirror and the empress that looks back. We’re here to ensure that happiness, strength and control are always in our customer’s hands”. Translating the relationship between beauty and art, translation to Napoleon Perdis is more than just feeling from one moment to another. In a society saturated by reality television and celebrities, Napoleon Perdis is about inspiring individuals to be, and remain in control and take the time to redefine themselves. It’s the experience of being able to translate into tranquillity and translate into a time of oasis. A time that is yours and solely yours. 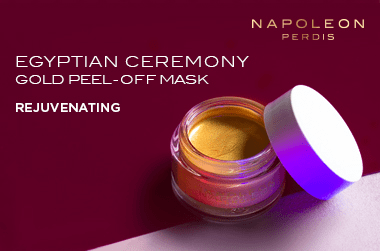 With 85 concept stores, over 100 departments store counters, and over 750 independent stockists, Australia’s leading makeup brand, Napoleon Perdis is the epitome of luxury, education and glamour. Showing 20 products of 98. This is a primer I often have in rotation (alongside Hourglass). It's fantastic. Can sometimes feel a bit "sticky" but it settles in to the skin quite well after a few seconds. Great to have as an everyday primer. Great for lightening undereyes for a highlighted look. Not effective at covering up imperfections like dark circles because it provides sheer and natural coverage. Super convenient form too.